Offering you a complete choice of products which include sliding gates automation system, swing gate automation system and bl230 swing gates automation system. Gearmotors in 24V DC and 380 V AC version, for narrow and medium doors with a weight from 200 to 800 kg for residential or condominium use, with or without built-in control board. The newest range of electromechanical motors for sliding gates of small and medium size (from 300 Kg to 500 Kg), suitable for residential use. Extremely easy to install, with the possibility of adjustments on the horizontal and vertical axis. Gears are manufactured completely in steel and bronze making them silent and reliable over time. Moreover the technology in the 24 V DC system's allow the user to obtain the highest level of safety, as provided in the EN 12453 standards. Note: Also Available model SL-400-800 with operating gate weight is 800 kg. 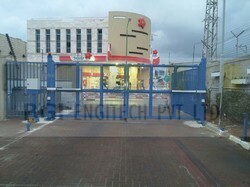 We are instrumental in catering to the variegated requirements of the customers by providing them with a commendable range of Swing Gate Automation System. 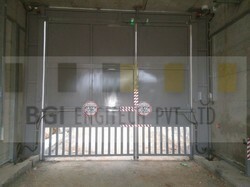 We are offering BL230 Swing Gates Automation System to our client and we assure satisfaction and quality of the product.